The Vatican Museums is one of the world's great repositories of art. Included in the collections are works by Michelangelo, Raphael, Da Vinci, Caravaggio, Fra Angelico, Titian and many other great artists. 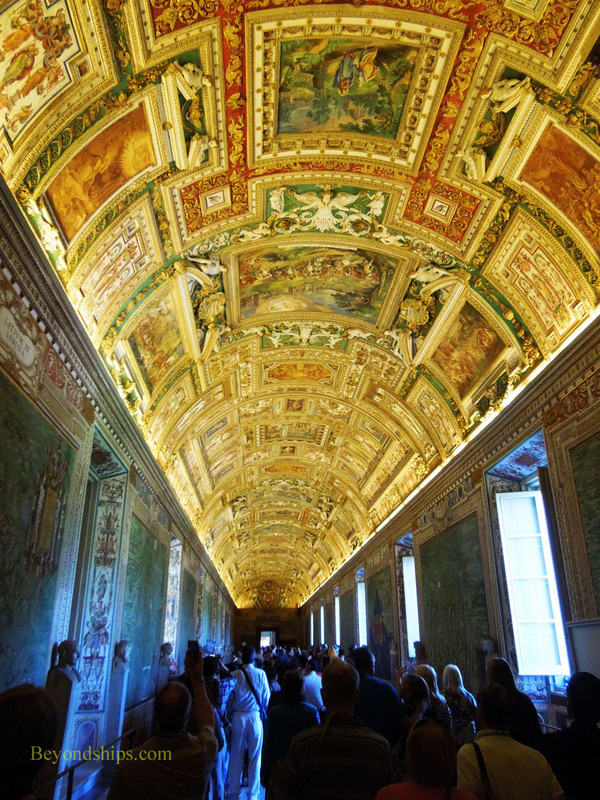 In addition to art created for the papacy, the Vatican Museums have an extensive collection of ancient European art. The Vatican Museums began in 1506 when Michelangelo persuaded Pope Julius II to purchase a recently-unearthed ancient Roman sculpture. After purchasing it, the Pope put it on public display. 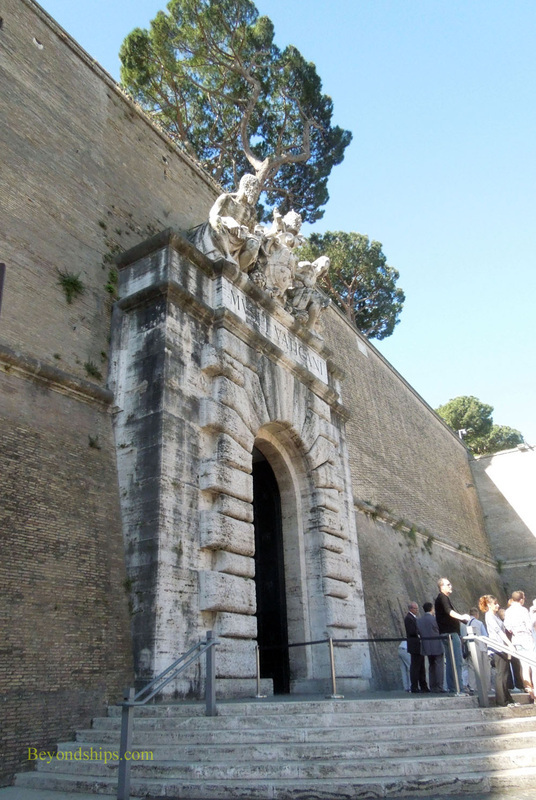 Over the centuries, succeeding popes founded various museums and galleries. These have now been combined into the Vatican Museums. In addition to the various paintings, sculptures, mosaics and other pieces of art in the Vatican collections, the rooms in which they are housed are often works of art in themselves. They are lavishly decorated and sometimes by artists with the stature of Raphael. A visit to the Sistine Chapel with its frescoes by Michelangelo is included with admission to the Vatican Museums. 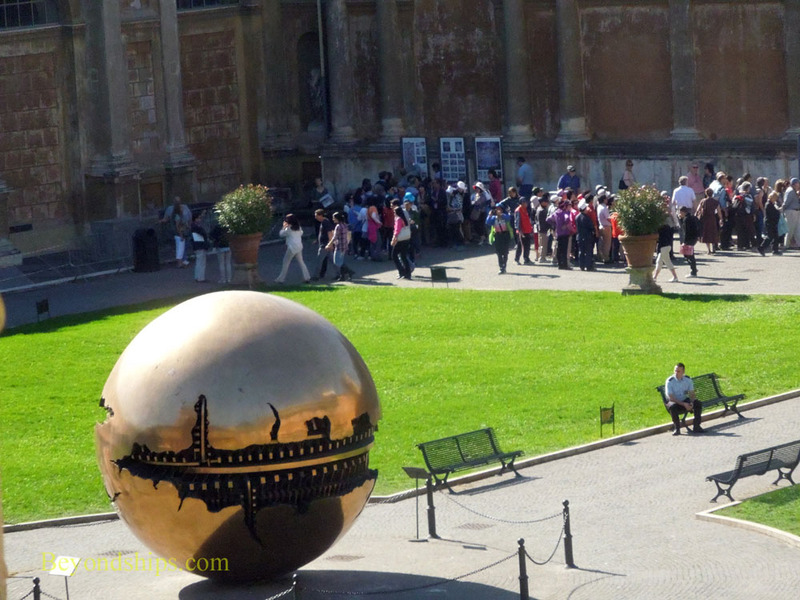 In 2011, six million people visited the Vatican Museums. As this indicates, there can be long lines waiting for admission and it can be quite crowded inside. 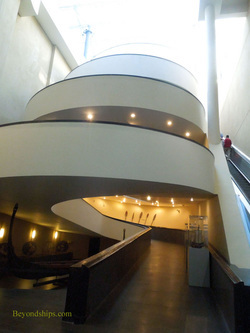 One way to get around the lines is through a shore excursion that includes a guided tour of the Museums. However, this can be quite unsatisfactory if you want to study the various works because you have to move along with the pace of the tour and go where the guide wants to go. An alternative is to purchase tickets online beforehand. You can reserve a time and date and skip the long queses when you arrive. The Museums also offer guided tours and recorded audio tours. It is important to note that the entrance to the Museums is not in St. Peter's Square. Rather, it is some distance from the Square on the Viale Vaticano. For more information about visiting, see The Vatican Museums' website. Above: One of the galleries in the Vatican Museums. Below: A courtyard in the Vatican Museums.